Retrospect at the remarkable never seen before presentation of Lensvelt, the distincitve, engaged and idiosyncratic dutch non-design furniture label and project designer. 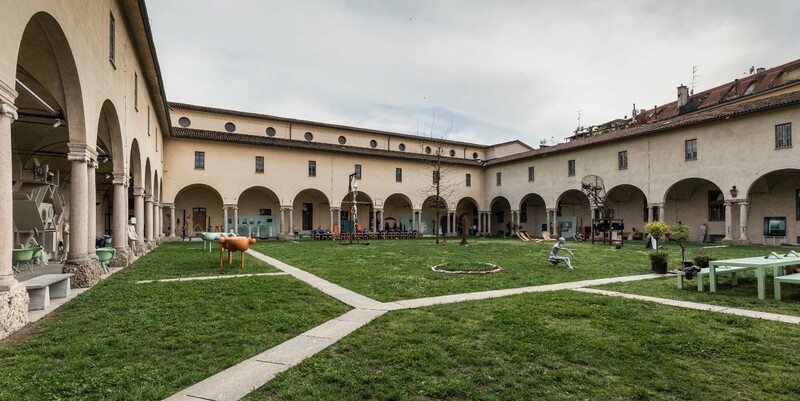 Nothing New was the spectacular anti- statement during the Salone del Mobile 2018 in Museo Diocesano in Milan. 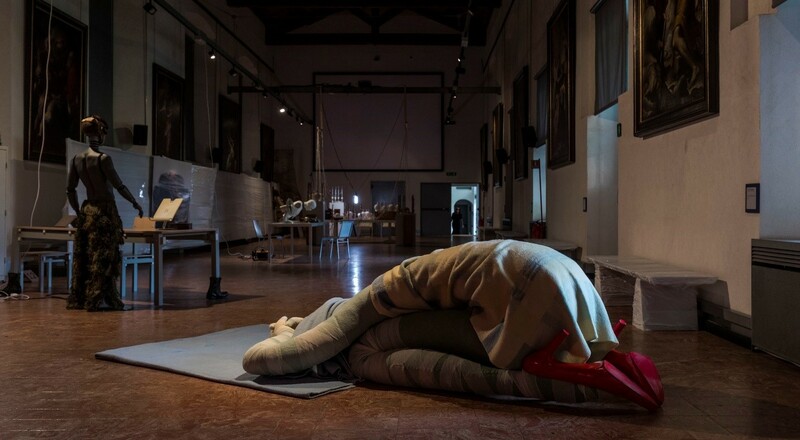 The concept by curator, entrepreneur and publicist Anne van der Zwaag is an anti-statement against the endless buying of new items that we do not need, while the exising furniture is still in perfect condition. So Lensvelt did not present any new products. After all Lensvelt doesn’t create fashion items, it creates sustainable, timeless designs and only when there is a need for it. Lensvelt reused exsisting furniture by temporarily buying it back through Marktplaats, Ebay and 1st Dibs, by borrowing the furniture and exhibiting it’s own showroom items. In Nothing New Maarten Spruyt addressed social issues that play an unchanged role; war and voilence. 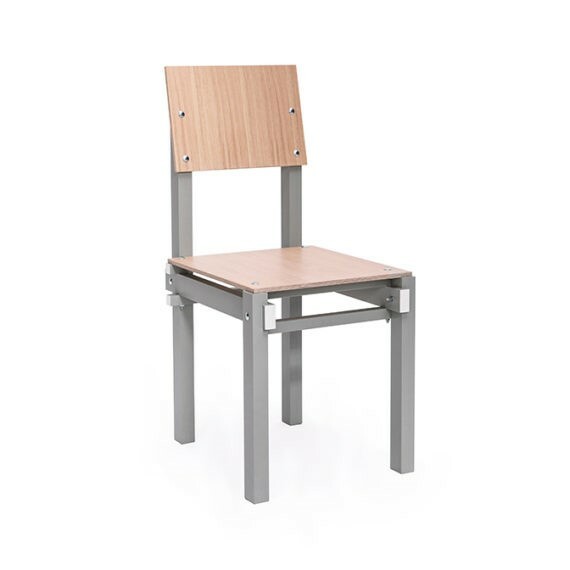 The distressing shell shock syndrome from Felix Burger fitted the sturdy, robust Military series of a table, chair and stool by the famous Gerrit Rietveld. 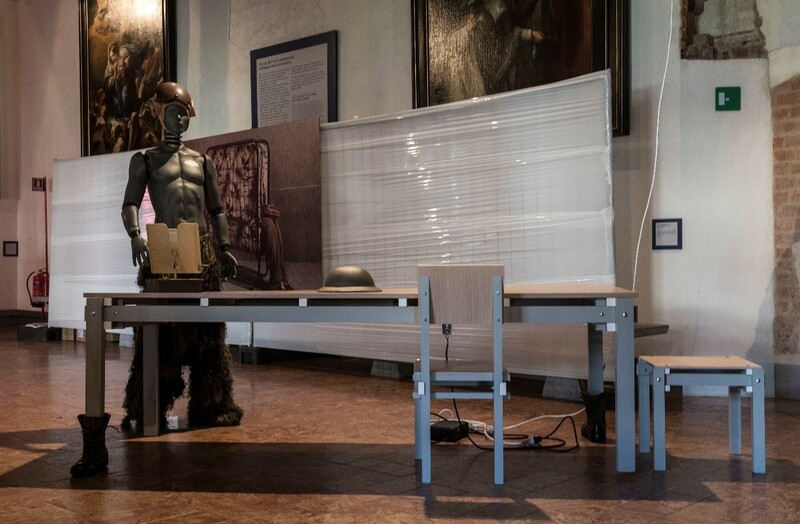 Both the Military Series of Gerrit Rietveld and Alet Pilons work from the series ‘talk to me’ refer visually and emotionally to the scale of factories and to anonymous, lonely office environments. 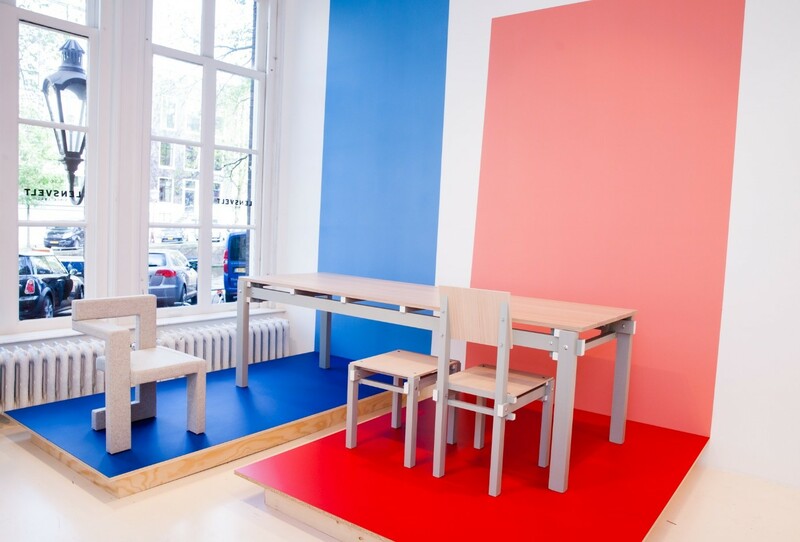 In 2017, the year that De Stijl celebrates its centenary, Rietveld Originals and Lensvelt started a special collaboration: Lensvelt became exclusive distributor of Gerrit Rietveld’s Military Furniture series for the business market. The famous art movement was founded in 1917 by Theo van Doesburg, Piet Mondrian and Bart van der Leck. 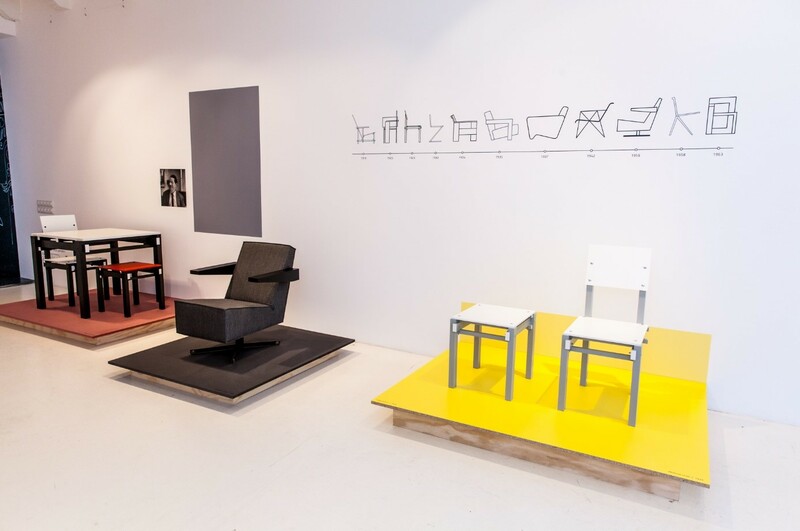 Furniture maker and architect Gerrit Rietveld soon joined. 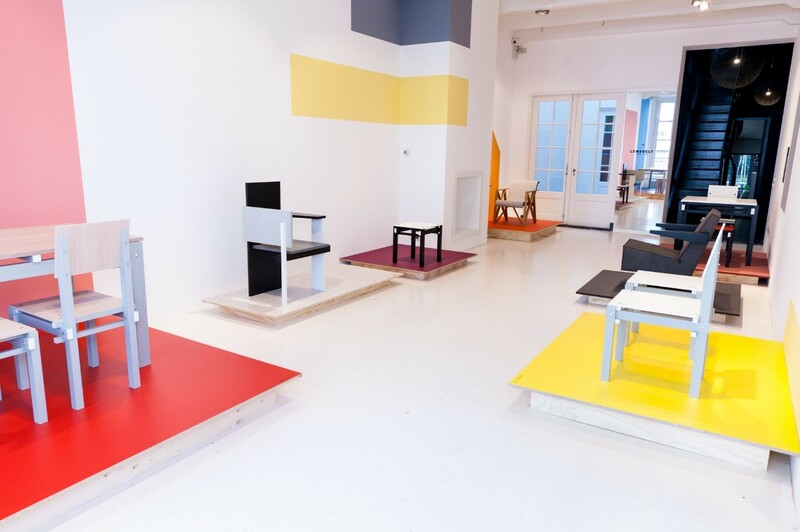 Rietveld made the ideals of De Stijl spatially visible. In 1923 he coloured his armchair red and blue. 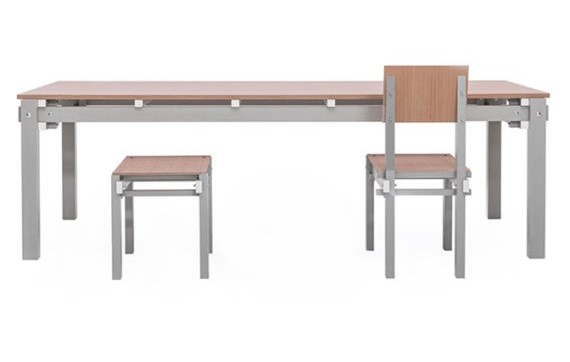 Not much later he designed a series of Military furniture for the Catholic Military Home in Utrecht. For this he experimented; he was the first to use bolts and nuts for wooden joints instead of wooden dowels. 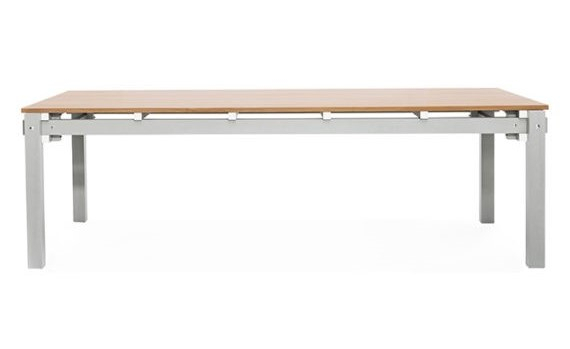 The Military Table is sturdy, robust and is characterized by the use of sleepers and contrast colours. 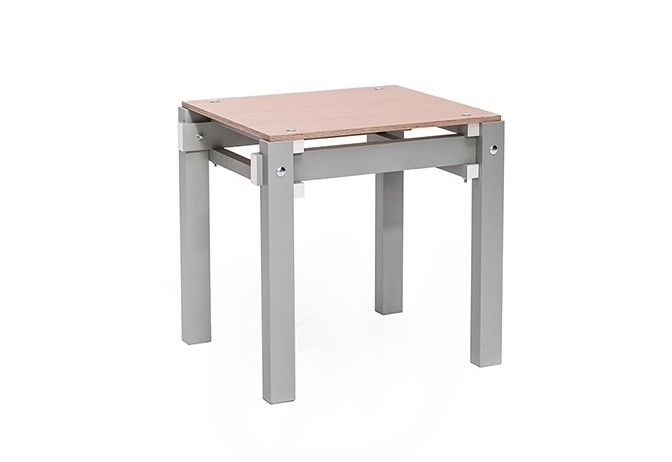 Buy the Gerrit Rietveld set number 1 and get the Gerrit Rietveld Military stool for free!